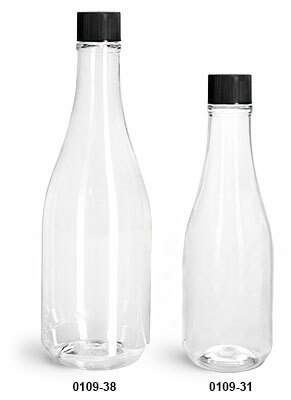 Looking for a sleek, elegant packaging solution for your sauces and marinades? 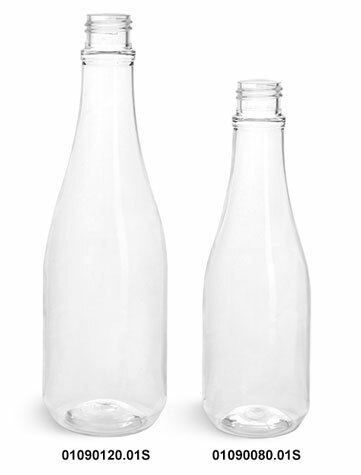 Consider the smooth lines of our glossy, transparent plastic woozy bottles. 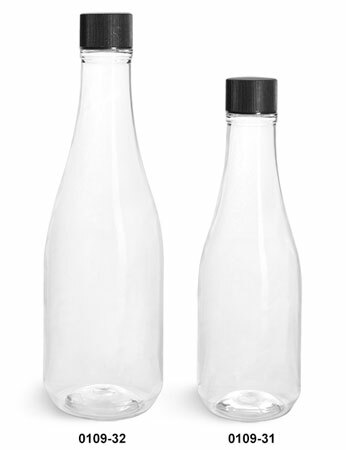 These stylish woozy bottles include size-matched black F217 lined caps and orifice reducers. 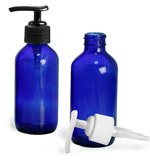 To prevent product spillage, just place orifice reducers into the sauce bottle openings after filling.